As I’m increasing my training I’m putting more emphasis on having joint protective nutrients in my diet. Here’s a batch of absolutely delicious beef bone broth that I had simmering away in the slow cooker for 24hours (beef bones, a carrot choped in half, an onion quatered, a teaspoon or two of whole peppercorns and 3 or 4 bay leaves). 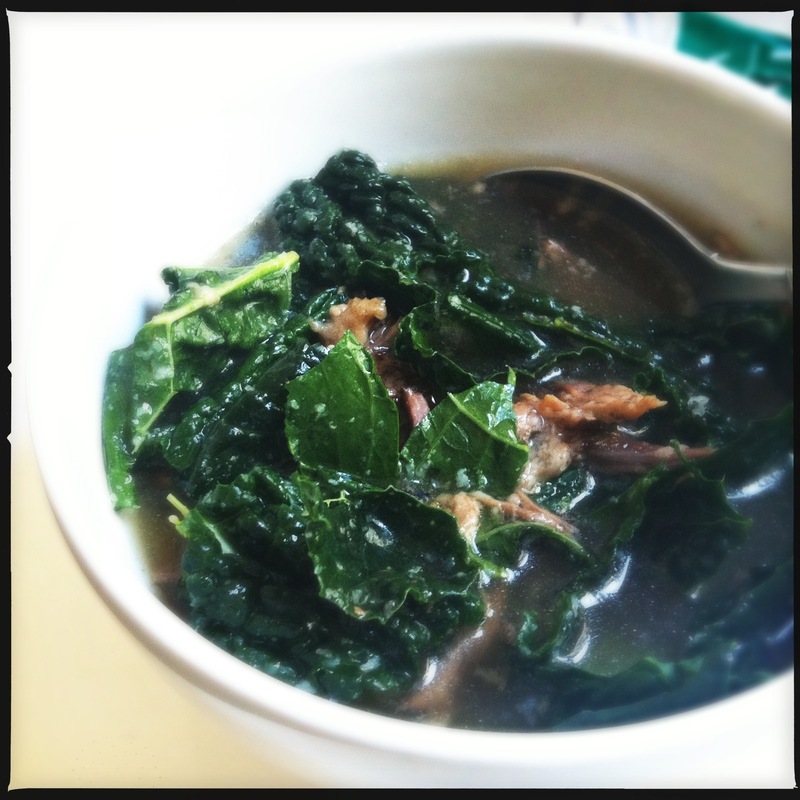 Today I served it for lunch with the small bits of meat that were on the bone and some fresh cavolo nero (no need to cook to cavolo nero – just rip it / chop it and pop it into a bowl of hot broth) and seasoned with sea salt. Great for this cool weather. Broth is an excellent source of minerals and collagen – just what you need to protect and repair your joints. It also happens to be great for stimulating digestion (making it perfect to drink with meals, unlike water) and stimulates the immune system too, so will help to keep you resilient throughout winter.